"DriDanube – Drought Risk in the Danube Region" project that began its 2.5-year implementation in January 2017 aims at increasing capacity of Danube region to manage drought-related risk. It is built upon process started within Integrated Drought Management Programme for Central and Eastern Europe (IDMP CEE) and is a continuation of work done in the region by Drought Management Centre for Southeastern Europe (DMCSEE). More information about the project are available on its official website. Find updates on project achievements and its outputs published below. Despite damages caused by drought in the last decades and growing frequency and intensity of the phenomenon occurrence in the region, people continue to react the same way and are not aware of its impacts on various sectors. So let’s talk about drought NOW and make the needed shift from recovery to protection, from crisis management to risk management. DriDanube project and the tools it is developing to improve preparedness of the Danube region for drought and its capacity to manage drought-related risks are presented in this VIDEO (follow the link). 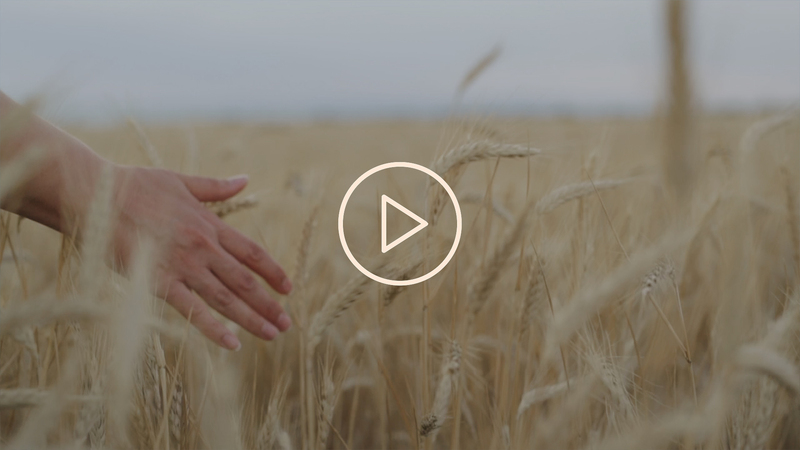 You are invited to see also other videos and interviews on DriDanube project and its aim to increase the capacity of the region to manage drought in project's video section. 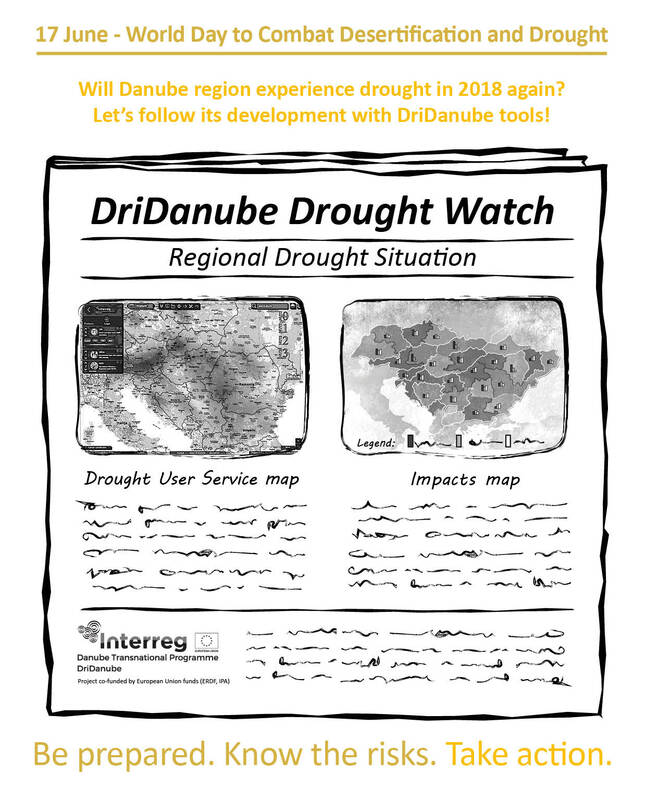 On the occasion of WDCD 2018, DriDanube project has begun following drought development in the region also through the eyes of its newly developed tools: Drought User Service with integrated drought indices such as SWI, NDVI, SWB and others will help us observe drought with remote sensing, while maps of drought impacts on vegetation and soil, prepared with data from on-field reporters within national reporting networks in DriDanube countries will regularly help us gain much-needed information on state of most common agricultural crops, fruits trees and forests in the region throughout vegetation season. Based on information obtained from these two tools, short bulletins will be published bi-weekly in Drought 2018 watch section on project's official website. Be prepared. Know the risks. Take action. One of the four main outcomes of the DriDanube project is Drought User Service, an open web-based tool for improved drought monitoring. It allows users to monitor drought conditions in near-real time over the Danube region through various drought indices on soil moisture and conditions of vegetation. Included drought indices are based on remote-sensing data and modelled data. Datasets are provided daily, weekly or 10-daily and therefore allow a regular insight into the current state of soil and vegetation across the Danube region. Through enabled spatial as well as temporal view of each included drought index, Drought User Service allows users to both monitor present (drought) conditions as well as analyse past droughts. Along with drought indices, Drought User Service displays also weekly-reported drought impacts on vegetation as well as static maps of drought risk over participating countries. It also includes User Manual which gives a general overview about the tool and an extensive description about its features and functionalities. Drought User Service is designed in a user-friendly yet feature-rich manner as it was developed with national authorities and other organisations, vulnerable to drought, in mind, to support them in their operational day-to-day work. Here you can read more about Drought User Service and the project partners who have developed it.